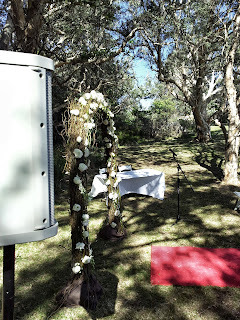 At Northern Beaches PA Hire we specialize in portable battery operated speaker systems for weddings. 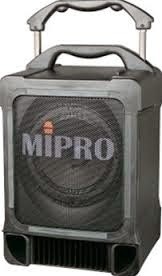 We supply the best battery operated speakers you can find only using trusted brands that are in top condition. This ensures peace of mind on the most important day of your life. We offer dry hire from our Freshwater base, or we can operate the equipment for you. Wireless microphones, inputs for instruments, Ipod cables and stands are all included. 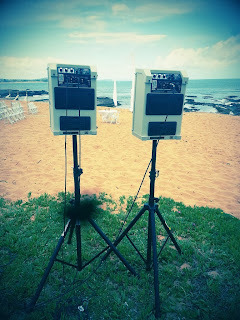 We have learned that with these speakers only the best will sound great time and again on a beach or headland with wind and other sounds possibly interfering. Do not go for the budget option from an electronics retailer it could leave you in silence. a high end Italian made speaker we have many wedding companies from all over Sydney request this rare and amazing speaker. 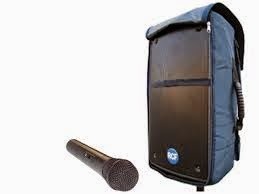 comes with wireless mic, Lapel or Handheld multiple inputs 100 watts of usable power and the battery lasts several days! 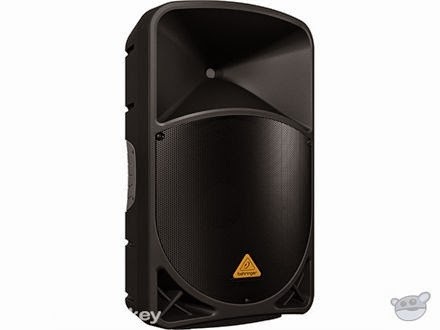 The new kid on the block is this amazing speaker from Behringer the I40. Small compact with travel handle two wired mic/ instrument/ Ipod inputs a wireless mic option with the Behringer Ultralink mic supplied separately at $30. The thing that sets this apart from the rest is the Bluetooth connectivity from any Bluetooth enabled device ie smartphone, pad or laptop you can send your music wireless from up to 60 m away. We have been waiting to gets these in as there is a waiting list due to popularity, should be here by late spring call us today to discuss. We offer wired JTS quality microphones from $10 can cater for specific setup configurations. Avoid disappointment by using inferior equipment , we guarantee these speaker to work perfectly or we will refund you. Delivery on the Northern Beaches can be arranged and operation can be by us or yourself. 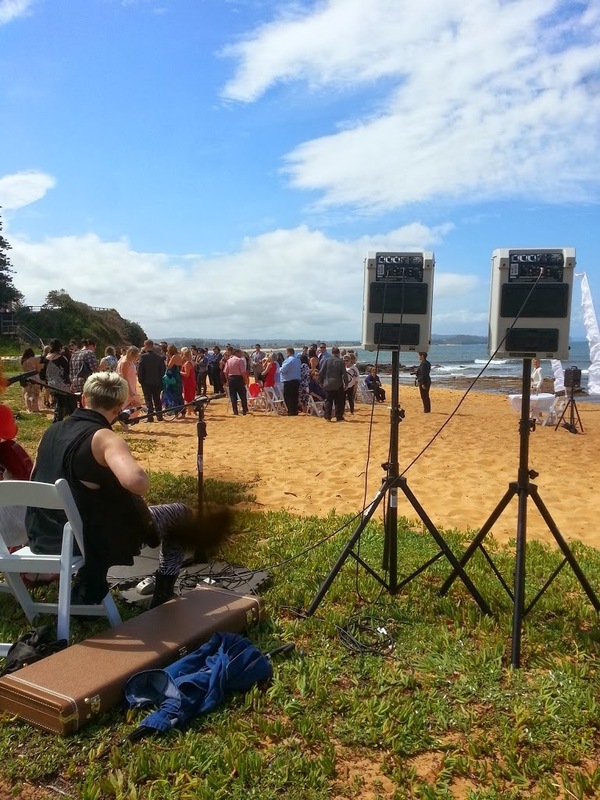 event or wedding on the northern beaches of Sydney. 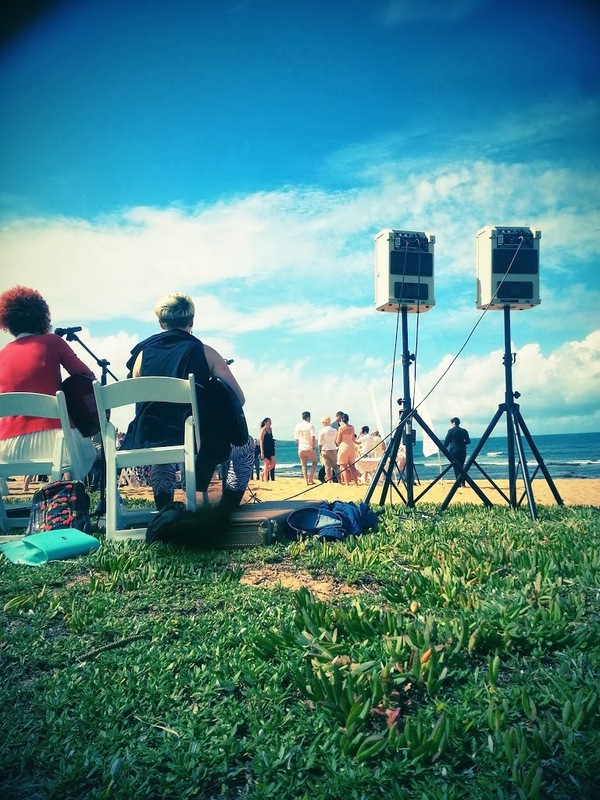 At Northern Beaches PA Hire and our sister company Northern Beaches Speaker hire we have a great range of brand new hi quality affordable sound solutions for any event or party on the Northern Beaches we offer hi quality speaker and projector hire. 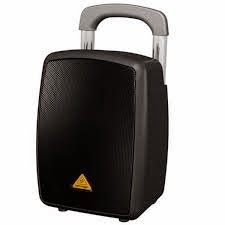 From the latest technology Behringer B112W with Bluetooth capability means no more cables 500 watts of usable power and wireless linking between speakers, they sound great and are great fun to use at any party or wedding. At $45 with stand an power leads they are the first stop for 21sts, 18ths and house parties. Subwoofers add some decent bottom end to any party and we use QSC KSUBS and the ultra portable EV ZXA1 rated at 1000 watts and 700 watts respectively, not always needed but for a bigger room it can change the sound dramatically. 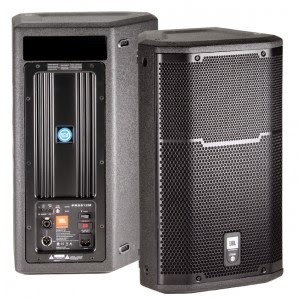 Both these subs are great i like the EV as it is so light you can carry it in one hand two will give you 1400 watts of tight punchy bass ideal for smaller venues where 18inch subs will sound muddy at $50 each they are first stop for subs. 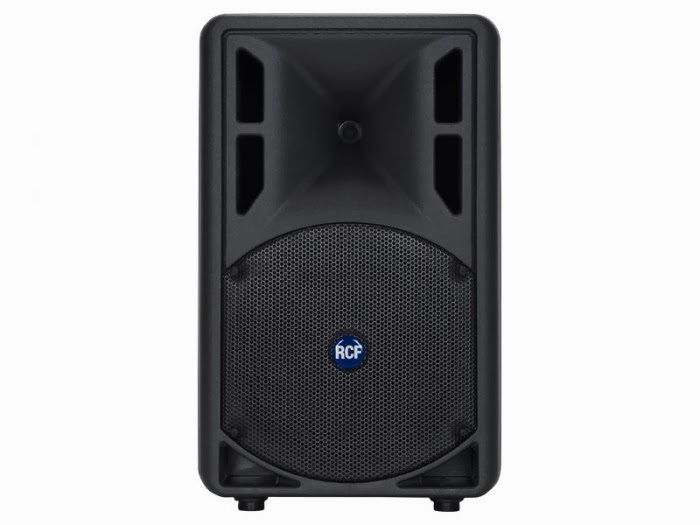 The QSC is bigger and is on casters sounding great with two 12 inch cones and 2x 500 watt amps in slightly larger venues but you will need a van to move them effectively. 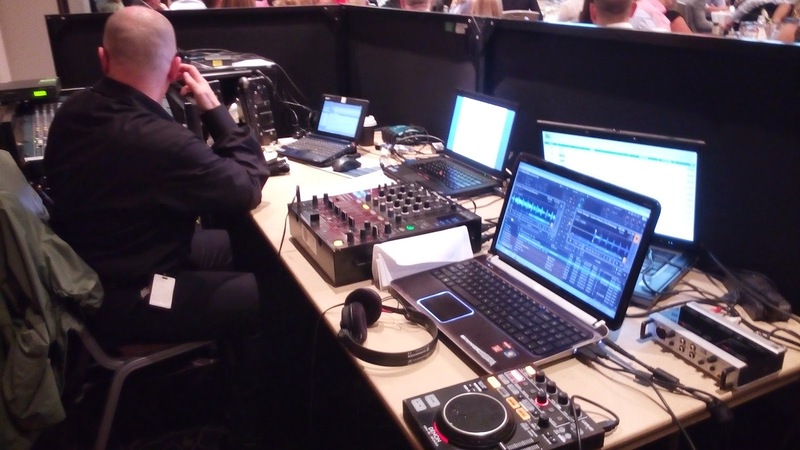 We also have partner companies who can offer larger setups for bands gigs and events and some professional sound engineers who have worked with the best in the business. 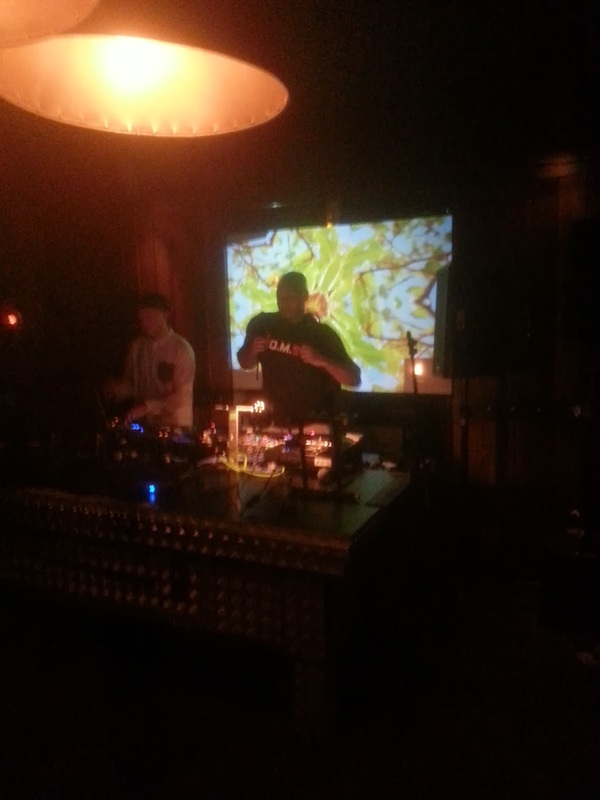 Tim Carrol is a veteran of the live music scene having many credits to his name including setting up the original sound system at the legendary Basement in Sydney. He specializes in Jazz, Roots and Country, he has a great rig and the experience and patience to ensure that you are getting the best from the desk, the speakers and the operator. Jazz and acoustic music is the most difficult to replicate well live, if you need this level professionalism for your gig contact us to book the master Tim Carrol. We are also partnered with Lights To Party who provide the ultimate lighting solutions. 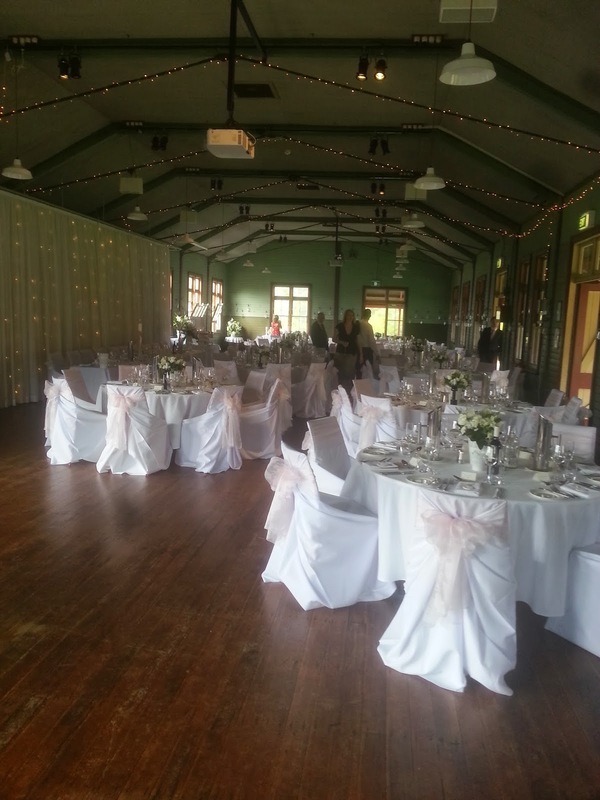 And AVA Party hire for all your event infrastructure this summer from Glasses to dancefloors. 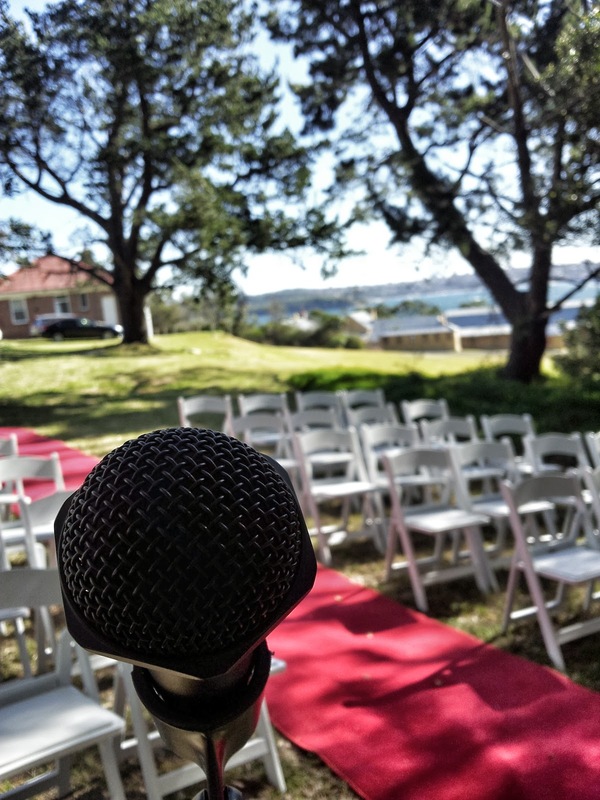 Talk to the professionals first and get the best advice and proven results for any event on the Northern Beaches this summer Northern Beaches PA Hire 0407 498 970 we provide the best speakers and projector hire. and people spending big dollars. 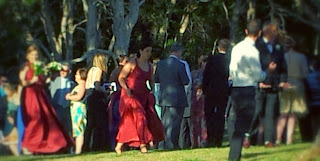 We provided background music during dinner and kept people buzzing on the dance floor. a great night for a good cause Northern Beaches Pa was on hand to keep the mood up and fun. Hitatchi CPX 1200 projector in for those big back yard Cinema Parties. This projector is perfect for large spaces when you need to play vision for a larger crowd, nice big clear picture easy to set up and cost effective from $200 for 24hrs The CP-X1200 series LCD projector is designed for large-scale presentation venues such as auditoriums, training centers and lecture halls. The XGA resolution (1024×768), offers a contrast ratio of 800:1 at 3,500 ANSI lumens and an integrated RJ-45 input for projector control, diagnostics and monitoring over a network. Options: Easy to install bayonet lens allows you to choose four optional lenses to meet any room size. Also equipped with a feature-rich remote control can be used for computer mouse control, offering increased operating flexibility in expansive venues. Additional product features include digital horizontal and vertical keystone correction, lens shift (10:1 to 1:1), progressive scan for reproducing the highest quality picture, front exhaust systems and convenient lamp replacement. Also incorporated is the M1 Display Interface System connector technology, which delivers multiple video connectivity options, dual DSI and USB connectivity, upstream/ downstream keying capabilities and up to 10 watts of power for external devices. 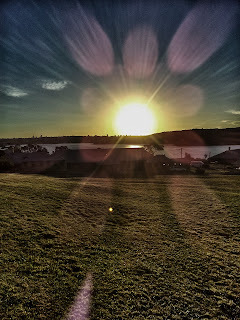 We had a crazy month at Northern Beaches PA HireStarting with Warringah Council and the debate over the future of Fishermans beach, 300 people and the Mayor of Warringah were discussing the the future of one of the Beaches best kept secrets. the mood was energetic and the views conflicting we ran a small pa desk a projector setup to enable all to be heard.Next up was Trader Faulkner who at 85 was one of the most engaging people I have met for many years, he is a local lad from Queenscliff who left Sydney to become a great supporting actor through the 40′s to the 60′s in London with some amazing stories of Laurence Olivier, Anthony Quinn, James Coburn and many more. My only comment to him was ” a life well lived” after listening to his life story. 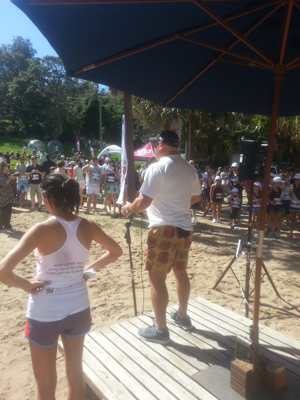 Manly 2015 the big debate the weekly speaker Manly was out in force discussing its future with over 500 people gathered in Manly Villages school hall. Mike Baird and Candy Bingham were key speakers at this emotional discussion of the future of Manly, views from the Council and some visionary speakers were at odds in this vibrant discussion. 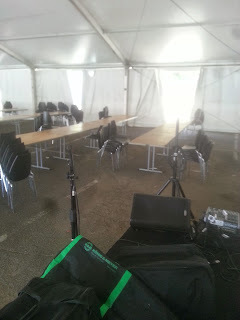 We ran a 6 speaker rig with wireless mic’s and recorded the whole event. how loud is my speaker? 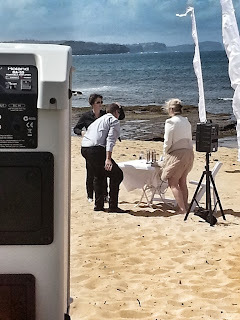 The real wattage of rental speakers on the Northern Beaches of Sydney A few years ago you could walk into Harvey Norman in Balgowlah and see these amazing sound systems made from genuine plastic that looked somewhere between a Centurions helmet and a Star Wars Storm trooper advertising 1000 watts of peak power. Many people bought these systems that have long passed into council collection folklore, as they were not what they claimed to be. Since then we have had the D class amplifier revolution which first allowed the lower end and now the higher end suppliers to re badge from Continuous power (RMS) to Peak Power (PMPO), when advertising their amazing new products. Peak power is the maximum level of power output that is measured during an observation period. Peak power here refers to the maximum amount of power an electronic component can possibly handle for an instant without damage. Not something to try at home or in a hire environment, be aware some hire companies now advertise these figures and the number of people these (PMPO) systems can be heard by. Not good when your hire company will charge you for damage to the 1000 watt (PMPO) speaker when your coverage is less than half the specified range or less. The term “Music Power” has been used in relation to both amplifiers and loudspeakers with some validity. When live music is recorded without amplitude compression or limiting, the resulting signal contains brief peaks of very much higher amplitude (20 dB or more) than the mean, and since power is proportional to the square of signal voltage their reproduction would require an amplifier capable of providing brief peaks of power around a hundred times greater than the average level. Thus the ideal 100-watt audio system would need to be capable of handling brief peaks of 10,000 watts in order to avoid clipping (see Programme levels). Most loudspeakers are in fact capable of withstanding peaks of several times their continuous rating (though not a hundred times), since thermal inertia prevents the voice coils from burning out on short bursts. It is therefore acceptable, and desirable, to drive a loudspeaker from a power amplifier with a higher continuous rating several times the steady power that the speaker can withstand, but only if care is taken not to overheat it; this is difficult, especially on modern recordings which tend to be heavily compressed and so can be played at high levels without the obvious distortion that would result from an uncompressed recording when the amplifier started clipping. An amplifier can be designed with an audio output circuitry capable of generating a certain power level, but with a power supply unable to supply sufficient power for more than a very short time, and with heat sinking that will overheat dangerously if full output power is maintained for long. This makes good technical and commercial sense, as the amplifier can handle music with a relatively low mean power, but with brief peaks; a high ‘music power’ output can be advertised (and delivered), and money saved on the power supply and heat sink. Program sources that are significantly compressed are more likely to cause trouble, as the mean power can be much higher for the same peak power. Circuitry which protects the amplifier and power supply can prevent equipment damage in the case of sustained high power operation. 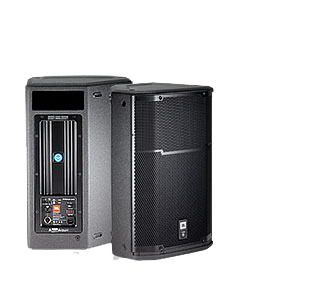 More sophisticated equipment usually used in a professional context has advanced circuitry which can handle high peak power levels without delivering more average power to the speakers than they and the amplifier can handle safely. 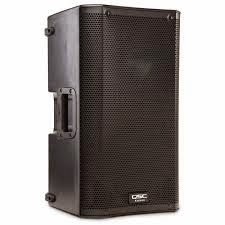 Hire Companies often Offer Powered speakers please read below. 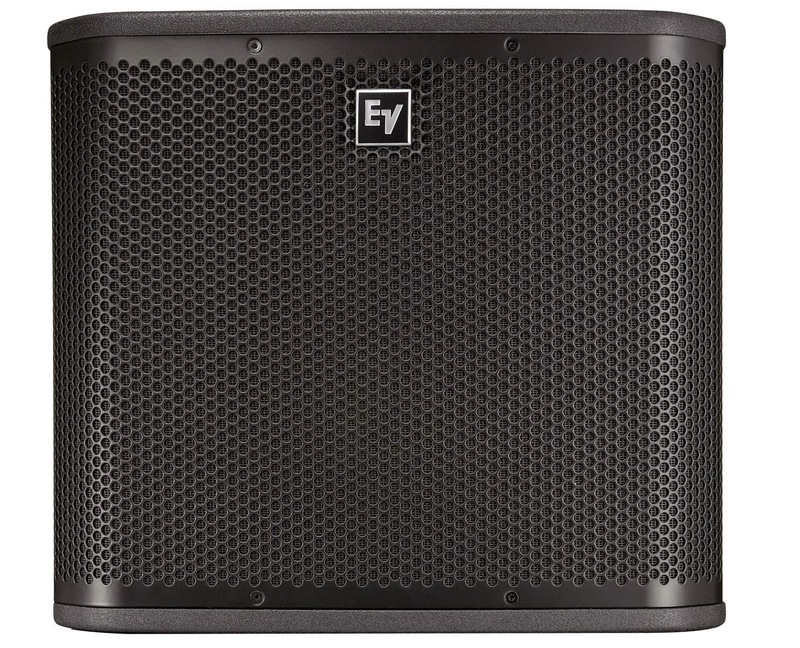 Active speakers comprise two or three speakers per channel, each fitted with its own amplifier, and preceded by an electronic crossover filter to separate the low-level audio signal into the frequency bands to be handled by each speaker. This approach enables complex active filters to be used on the low level signal, without the need to use passive crossovers of high power handling capability but limited rolloff and with large and expensive inductors and capacitors. An additional advantage is that peak power handling is greater if the signal has simultaneous peaks in two different frequency bands. A single amplifier has to handle the peak power when both signal voltages are at their crest; as power is proportional to the square of voltage, the peak power when both signals are at the same peak voltage is proportional to the square of the sum of the voltages. If separate amplifiers are used, each must handle the square of the peak voltage in its own band. For example, if bass and midrange each has a signal corresponding to 10 W of output, a single amplifier capable of handling a 40 W peak would be needed, but a bass and a treble amplifier each capable of handling 10 W would be sufficient. This is relevant when peaks of comparable amplitude occur in different frequency bands, as with wideband percussion and high-amplitude bass notes. For most audio applications more power is needed at low frequencies. This requires a high-power amplifier for low frequencies (e.g., 200 watts for 20–200 Hz band), lower power amplifier for the midrange (e.g., 50 watts for 200 to 1000 Hz), and even less the high end (e.g. 5 watts for 1000–20000 Hz). Proper design of a bi/tri amplifier system requires a study of driver (speaker) frequency response and sensitivities to determine optimal crossover frequencies and power amplifier powers. 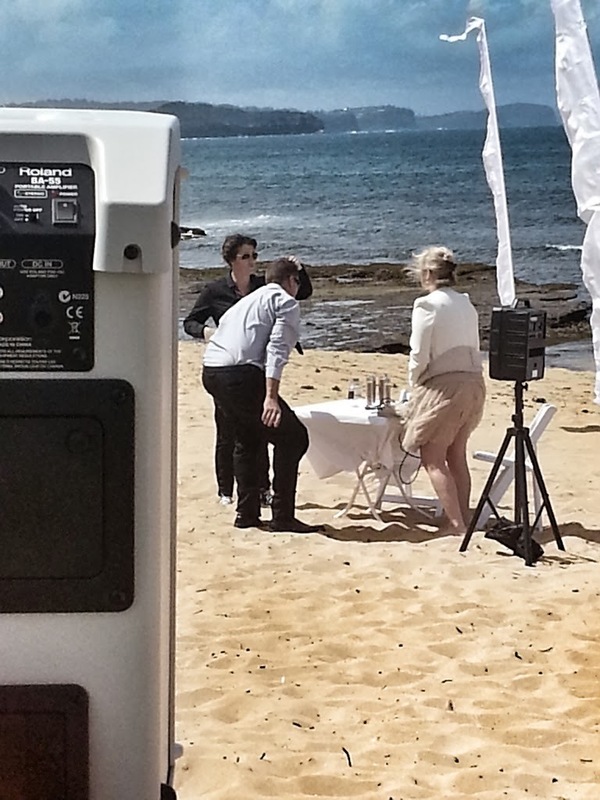 There is a lot to think about here and some of it can be dull call Northern Beaches PA Hire on 0407498970 if you have any questions or have been hired the wrong speaker for the job. 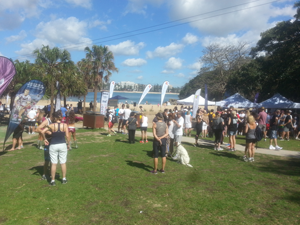 Its been another busy week here on the northern beaches with so many summertime events happening all at once. 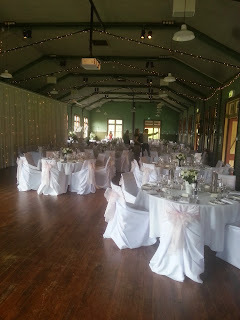 We have teamed up with Sydney’s premier party lighting company Lights To Party based in Mona Vale. These guys have every conceivable light and Laser combination along with smoke, haze and bubble machines, catering to all budgets and requirements. 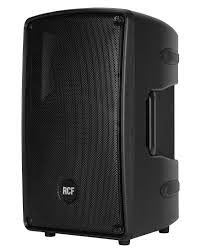 Partner these with our 2014 speaker and Dj range and you have a huge array of equipment for your next event. 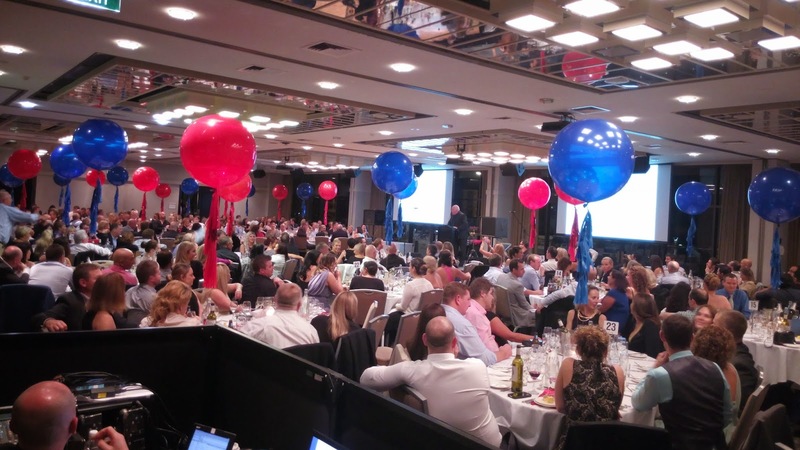 Warringah council used our services this week and had some nice things to say about the 300 people conference we set up for them. We will definitely use your services again. Kate, Graham and the team were very happy with your work and your approach with people! Cool, calm and collected and nothing too much trouble – great combo Joel. AMERICAN pop superstar Beyonce’s entourage has spent two days filming her latest video clip in the Hunter. We supplied the sound playback speakers for the shoot! 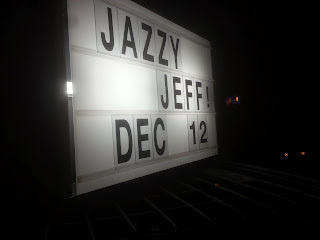 We didn’t know till after the event as the whole event was shrouded in secrecy !! The sound tech took a set of Wharfedale 12d’s with padded covers and stands to playback the music for the dance segments in the shoot. he said they worked perfectly with the sound even out in the open on the dunes cutting through so that every body could hear, shows what a versatile piece of kit these are! 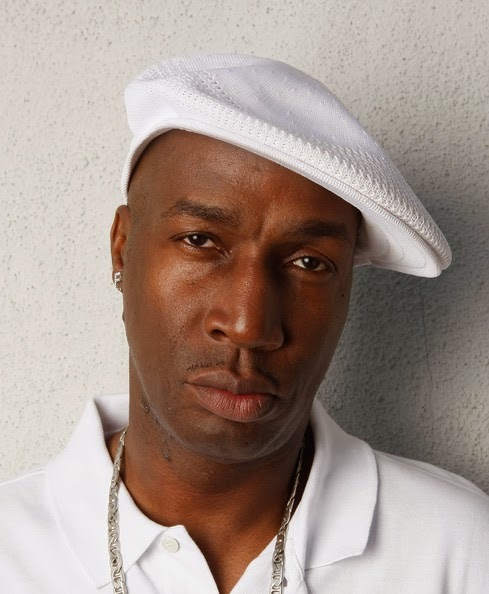 Filming of the video clip reportedly wrapped at Stockton sand dunes yesterday morning for the voice behind hits such as Crazy in Love and Single Ladies (Put a Ring on It). Beyonce launched the Australian leg of her The Mrs Carter Show World Tour in Melbourne last month. She plays two remaining shows in Perth tomorrow and Saturday. The tour’s name is a nod to her marriage to US rapper Jay-Z, aka Shawn Carter, with whom she has a daughter, Blue Ivy Carter. Hunter entertainment industry sources confirmed that about 80 members of Beyonce’s crew had been in the Hunter. 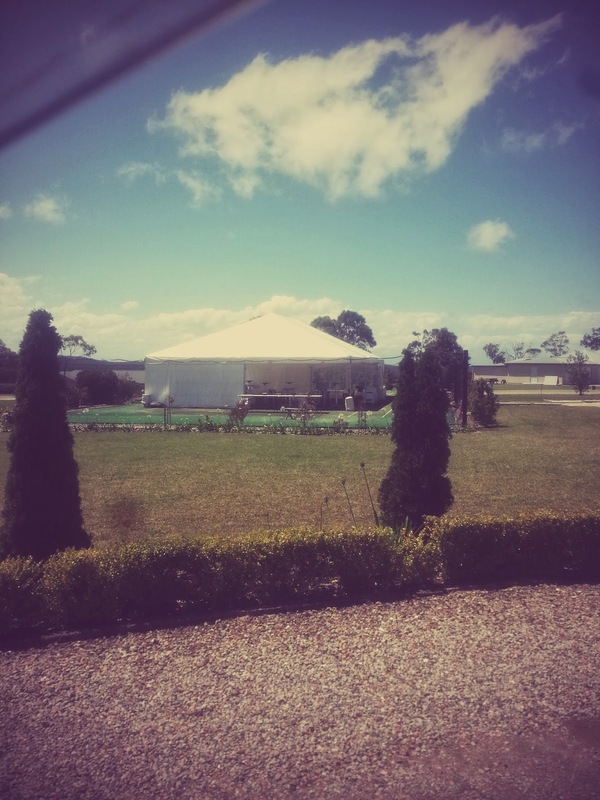 Local Artist Ben Browns 50th went off without a hitch we provided the sound system for the legendry Shaggin Wagon 150 party goers rocked out till midnight , we used the QSC K12’s series speakers for the vocals and foldback a few vocal tweeks and it sounded crisp. Happy birthday Ben!!!!! Shaggin’ Wagon formed accidentally in 1977, but didn’t realise it for another 15 years. In the intervening years, the music they used to play together for fun after school went from being “daggy top 40 trash” to “kitsch, retro and cool”. Well, some of it, anyway……a lot of it is as crap today as the day it was released, but Shaggin’ Wagon are happy to laugh at themselves, and invite you to join them. Shaggin’ Wagon features members and ex-members of the Lemonheads, Vanilla Chainsaws, Warmer, The Eastern Dark, the New Christs, the Gadflys, Lime Spiders, the Pyramidiacs, Bernie Hayes Quartet, Sneeze, Hellmenn, Asylum, Space Juniors, Smelly Tongues, Hey! Charger, Bananas & Louie, the Minogues, the Morones, the Stark Raving Elvis Big Band, Creme Brulee, Hammerfish, Snow Leopards, Roddy Ray’da & the Surfin’ Caesars, Love And Death, No Man’s Land, the Ultimate Vanilla, Upsidasium, Godstar, St. Crustacean, Scuffy, the Shout Brothers, Red Giant, the Weasels, the Aquatic Donuts, Sliced Bread, the Flies and Hell Yes. How they manage to fit all those people onto one small stage is a riddle wrapped in an enigma that has puzzled mankind since Christ, J. played goalie for Bethlehem United U-15’s. Dec 12th 2013 Its been a crazy couple of weeks for us the highlight had to be the Legendary Jazzy Jeff coming to Manly to Play at the Brooklyn Bar. We added some extra sound in the shape of some JBL PRX tops with QSC K Subs this coupled with the venues system added some punch around the decks where about 150 crowded around to watch the main act. 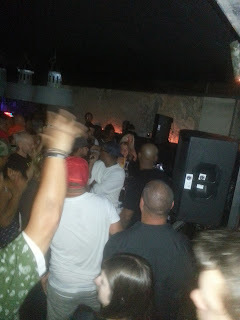 he did not disappoint, the crowd loved it in this intimate setting. 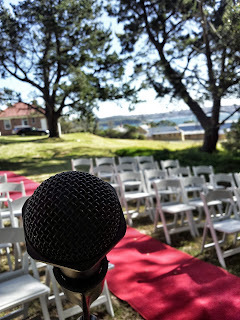 The Warringah council was a more relaxed affair with singer ASH MACEDO on stage for 400 guests we used the QSC K12s with wireless Sennheiser transmitters allowing a cable less stup for the back of the room The last gig was back to our favourite wedding destination at the Q Station for a great looking wedding in the Govener Phillip Ball Room the DJ was happy with the QSc K10s providing a warm sound to this echo chamber, we also wash light the walls adding some needed colour. 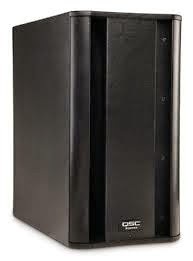 We have a new order of QSC K12 speakers arrive and we have been using them extensively the last couple of weeks with good results. 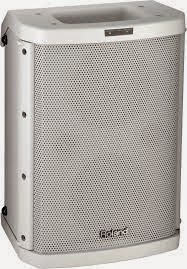 Initially i avoided this particular speaker as it was expensive very heavy and untried in the Rental market. The JBL PRX and RCF ART being the choice for Djs and bands respectively were serving me well for their ease of use weight and price point. 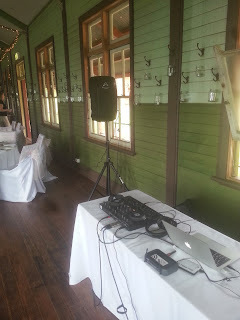 I odered a pair of K10s and found them instantly useful being able to run three inputs at once suddenlymade sense at small weddings or events such as the Walk For Brain Cancer which needed a fast set up with minimal equipment and wanted background music with the microphones. The K12s offer a bit more sound and sound great at low to mid volume iam not that impressed with them at high volume but am thinking it may have something to do with the quality of the sound source being a phone with an MP3 running through it so will give it a test with vinyl and a decent mixer and see what comes back. For Versatility though these area great option and can be very useful in a situation where space and a quick setup time are important. They are heavy and quite bulky to handle if you are a smaller person these may be hard to manage,the K 10 is much easier to work with if that is the case. 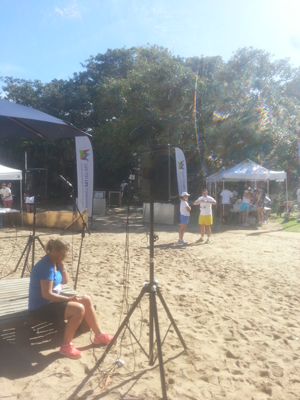 Sunday 24th November and we were up early to provide sound for 1500 walkers raising money for a great cause. A walk for braincancer is in its third year and has raised 130,000 dollars this year. 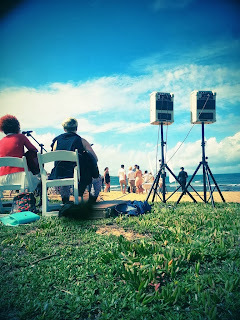 2 QSC K10s mounted high were plenty loud enough in the natural amphitheatre of Shelley Beach check the pictures below. 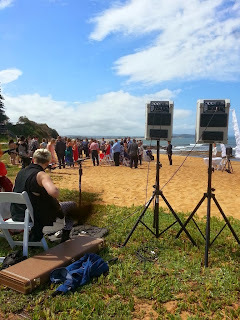 A busy and wet weekend for everyone, but we managed to dodge the rain for an awesome outdoor wedding on Collaroy beach. 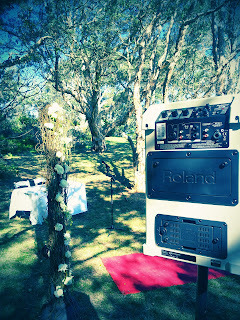 Three vocals and two guitars coupled with 2 Roland BA 55s sounded great even though conditions were tough. That evening it was a warehouse party in Botany bay with the QSC rig coming into its own helping the A list of the Fashion and TV world boogie the night away ( no pictures allowed on this one ) im afraid. The sound cut through even with the wind howling as the clouds departed and the sun shone briefly, everybody was in great spirits.